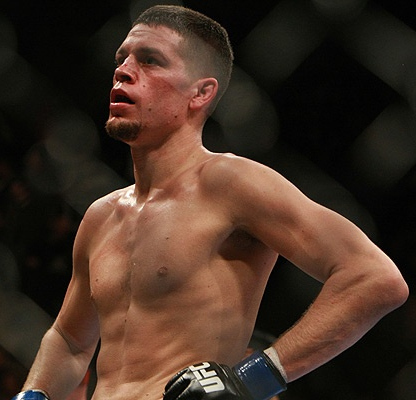 Nate Diaz is having headache because he needs to disclose his criminal record before heading to Canada for UFC 129. UFC fighter, Nate Diaz, hinted in his Twitter account about his travel issues to Canada for his UFC 129 fight against Rory McDonald. However, his manager – Cesar Gracie – cleared out that the fighter was just venting out frustration at additional paperwork necessary before he can travel to the country. UFC execs required Nate Diaz to submit a declaration to the Canadian government, disclosing his criminal record and his intent to travel to Canada. The red tape rooted from a 2006 altercation in Reno, Nevada, wherein Nate Diaz got a criminal record for disturbing the peace. But Cesar Gracie pointed out that the additional paperwork was no big deal, and it will just cover the bases of Nate Diaz’s travel issues to Canada.